In the wake of rapid advances in genetic technologies, new products continue to be developed to help improve human health and quality of life. 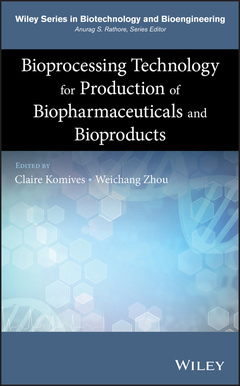 Summarizing state-of-the art bioprocessing methods, Novel Bioprocessing Technology for Production of Biopharmaceuticals and Bioproducts presents a concise exploration of the latest developments in bioprocessing for applications in both the biopharmaceutical and biochemical industries. Including case study reviews of six milestone byproducts, the authors provide industrial and academic researchers and development scientists and students with a wide selection of host strain types and a review disruptive bioprocess technologies.